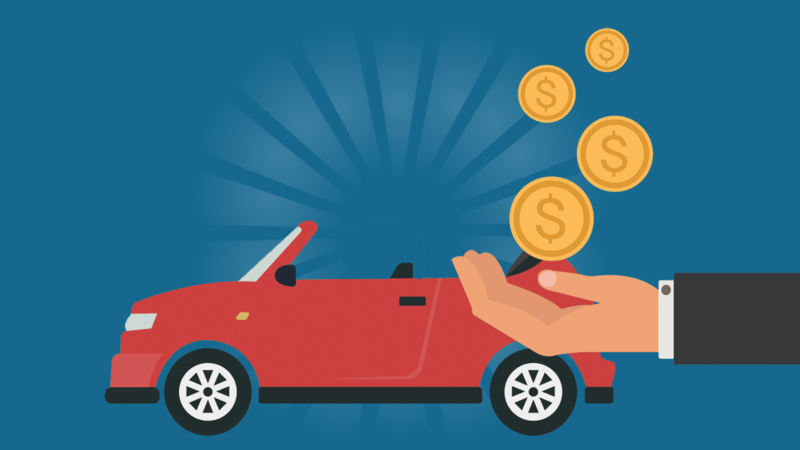 Tips for Buying a New Car & Saving Money While You're At It! Your car breaks down or you are in an accident. You need a new car.! You procrastinate as long as possible because of the hassle you are going to face entering a car dealership. The pressure of negotiating and making sure your are getting a fair price is so daunting. But you need a new car! I like the process of searching for a new car. You do all the research, check prices, watch dealer inventory and start to imagine yourself zipping down the road in your new car. You even start to think about names for your new car because everyone knows your car has to have a name. In college, I had a Saturn I called the “S Ride.” I just can’t stand the idea of going into a car dealership and negotiating the best price for myself. The thought of sitting in a chair for hours while the salesperson goes to “ask” their manager about my offer price, and feeling pressured into paying the price the dealership is asking sounds like the worst possible way to spend an afternoon. I am going to share with you the process I have used to purchase my last few cars that has made a much better experience for myself. I have been able to do it all online from the comfort and convenience of my house. Prior to getting ready to start negotiating, you should have already test driven the car you want to buy and picked out the options you would like so you know exactly what you are looking for. Reputable dealerships have all of their cars for sale listed on their websites with the MSRP. There is usually a button you can click on to get the internet price. In order to do that, you have to enter your email address and name so they can contact you. I would suggest contacting several dealerships for the same model of car so you can shop around to make sure you are getting the best price possible. All the dealerships should have a sales person respond to you with a price that is lower than the MSRP that is listed on the website. Yay, you are already making progress! After you have collected the lower MSRP from all of the dealerships, spend time comparing them, see who is lowest and what options you are getting on the car compared to the others. You can then go back to the all dealerships and ask them to come down more, ask for an out the door price instead of just the cost of the car so there are no surprises when you go in to purchase. Again, I did this through email so there was no pressure and you can check emails and respond at your leisure. If all respond with a lower price, I would do a second round asking them to come down even more. You may have the salesperson tell you that is the lowest they can go down and that would end that negotiation. When you are down to the couple lowest offers, compare what features each car has and make a decision on which car you want to buy. If the one you want is not the absolute lowest, ask that dealership to match the lowest price. Once you have the best deal on the car you want, you are ready to buy! I then set up an appointment to go in and purchase my new car. Make sure you bring the email that lists the agreed on price. Buying a car using this process eliminates the need for a face to face negotiation and ensures there are no surprises at the dealership making for a quicker and less stressful transaction. This is just one tactic that can be used to save you money and help you stay in budget when purchasing a new car, there are many ways to do this. Please share some tips below that you have used to purchase a new car. VW gave me an interest free loan for the life of the loan, which made it very easy. I would recommend always trying to find an interest free loan, if possible. I like your method for purchasing a new car. I had already used the e-mail to make an appointment and test drive the vehicle. Waiting for the dealer to find the vehicle I want. But beware of a dealer who shows you the “Invoice” price! That is not the lowest either. Dealers receive a further reduction BELOW the invoice price when at the end of the month the dealership receives a further reduction. Now, the salesman will say that he doesn’t get that reduction but that it goes to the manager. My response is that I deal with car dealership and I don’t care what goes on within the dealership!!!! It works! My friend currently doesn’t have a car of his own, so I think that he’d be interested in buying one soon. It was helpful when you mentioned that he should test drive a car, as it will help him see if he likes the way it handles the road. Thanks for all the great tips on buying a new car. I do like that the article reminds readers that they already should have test driven the car before they start negotiating. After all, you shouldn’t just test drive used cars, you’ll want to test drive the new ones too. That way you can make sure you actually enjoy driving the car before you try to buy it.